Welcome to Gaynier Orthodontics! We're so happy you found us! We love what we do and are honored to provide orthodontic treatment for you and your family. Dr. Brad Gaynier has a passion for creating beautiful smiles. 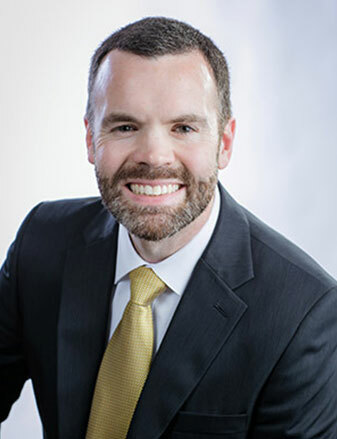 Originally from Michigan, Dr. Gaynier received his Bachelor’s degree from Michigan State University and Doctor of Dental Surgery from the University of Detroit Mercy. He then completed his orthodontics residency at Nova Southeastern University in Ft. Lauderdale, FL while simultaneously conducting research on maxillary expansion. He is the recipient of multiple academic awards, and practiced orthodontics for many years in South Carolina before moving to El Paso to head a well-established orthodontic practice that has been serving the El Paso community for more than five decades. Dr. Gaynier believes in creating wide, beautiful smiles with a minimum of extractions. Of course, every individual has unique needs, and Dr. Gaynier offers a customized treatment approach to each patient. He ensures that treatment progresses by personally seeing every patient at every adjustment appointment. Dr. Gaynier and his wife are the proud parents of three sons. Away from the office, they enjoy exploring El Paso, exercising, trying new cuisine, playing retro board games, watching the Detroit professional sports teams, traveling, and spending time with family and friends. Dr. Gaynier has also volunteered as a leader in the Boy Scouts and regularly participates in community service. Making your smile transformation a reality is as easy as scheduling your free new patient consultation with Dr. Gaynier either online or by calling our main number, 915-581-8152.